It’s always a thrill to receives positive feedback on our blogs. “In a responsible fashion” caught the eye of Jade, young Melbourne business owner, mother of 3, out there doing her bit to reduce, reuse and recycle fashion. With our passions aligned, it made sense to share her story with you. “Like many people, I am invited to attend functions and special occasions, from 2013 through mid-2015 I was pregnant with my son and then my twins. Trying to find a special occasion maternity dress that I felt comfortable in and didn’t cost a week’s wage was disastrous. Not wanting to purchase a new dress for every occasion and not able to justify the cost for something that I’d only wear once, I felt forced to wear something that didn’t quite fit my growing belly. “Following the birth of my twins, I noticed a growing demand for designer dress hire, however maternity dresses were usually overlooked, it was in May 2015, I opened the doors to Designer Bumps. Like me, parents have so many costs (baby furniture, nappies, clothes etc) to worry about, and shopping for a dress shouldn’t be a one of them. Aside from cost advantages of hiring over buying, I realised hiring an outfit is a more sustainable option – less fashion waste (seriously, how many times are you going to wear that maternity dress again?) not to mention the energy and resources used to make new clothing items. “I love what I do now, I love that I can offer Mumma’s an affordable option to wearing designer dresses without taking away the fun factor of actually shopping and trying them on! 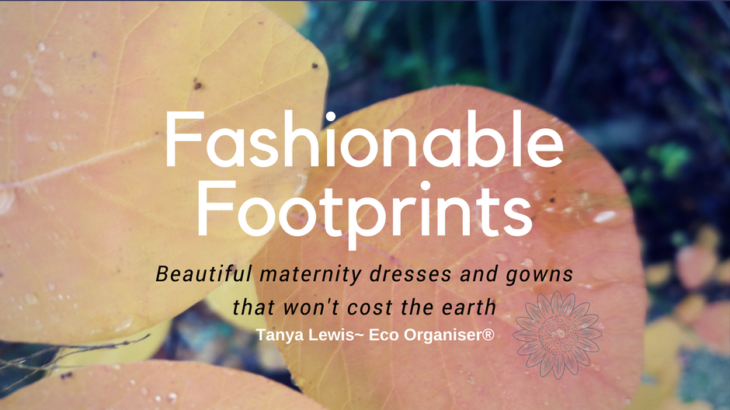 To all the Mum’s to be, why not rethink your fashion footprint and reward our planet and your babe’s future. Home Organising Tips and Tricks America, Australia, baby, carbon footprint, clothes, clutterfree, declutter wardrobe, don't buy, eco friendly, family, Fashion, footprint, landfill, maternity wear, Melbourne, Mothers, responsible, rethink waste, save money, save time, simplify life, stuff, STUFF OFF, United Kingdom. permalink.